I have to write on something else, if only I knew how. One of our Potatoes is missing. “I don’t know, sir; but, he’s left his jacket on his chair.” said potato three, Pomme du Mare. “You are a dreamer, Pomodoro; and I swear, you and he were quite a pair. A right pair, indeed!” the master quothed – he did often swear. Potato four, sweet Pomme de Terre; without his jacket, with option rare; had left the college for new pastures fair. But, without his jacket – totally bare – he wound up dancing (he had flair) with all the style of Fred Astaire. And his love, Pomodoro, he wished was there. And, with a spud-gun smoking by his side, did sightless, unseeing, become Pomme de Terre de Terre. It’s not unusual to find Tom Jones in our garden mowing the lawn; but, he says that he misses the green, green grass of home. I asked him why, why, why he couldn’t go back. “Delilah?” I opined, laughing. Then I saw the pruning knife in his hand… and stopped. 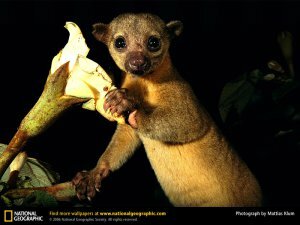 That Kinkajou… is just like you! The daylight crept up upon me like a bad-intentioned thief in the night. And the sun rose like purple prose from below the horizon to assault my senses, leaving me dazed, confused, and, to be honest, a little teary (it was just like a birthing). However, now that it was here, there were things to do, things to get done, and things that I neither had to do, nor would get done. It is the way. I wandered out. It was rather cold. So, I wandered back in again to put on some extra layers. And a scarf. And a hat. Then… I wandered out again. Sometimes a false start is just a warm up to a journey. ‘Out’ was the new ‘In’ – if the truth be known it was just the opposite. ‘In’ was soon to be the new ‘Out’ – but, I had to travel the many roads that a man must walk down (and ‘up’ them on the way back) before you can call me ‘a man’ – it may have been forty-two, but I wasn’t counting. So, eventually, I reach the metaphorical ‘back’ after my little literary leanderings (not a word – made it up for alliterative effect) and go ‘inside’ – where I am out of coffee. Sadly, that is what I went to the shops for. I received a look that would make a wallflower wither. But, from another relatively related person (though not a father or mother).